Jerusalem (AP) — Gaza’s Hamas rulers said late Thursday that a truce had been reached with Israel, ending an intense two-day burst of violence that had pushed the region closer to war. But the deal did not appear to address the deeper issues that have prevented the bitter enemies from reaching a longer cease-fire arrangement. At times, Thursday’s fighting resembled the 2014 war. In Israel, air raid sirens warning of incoming rocket fire wailed in southern Israel overnight and throughout the day, sending families scrambling into bomb shelters, canceling outdoor summer cultural events and forcing summer camps indoors. 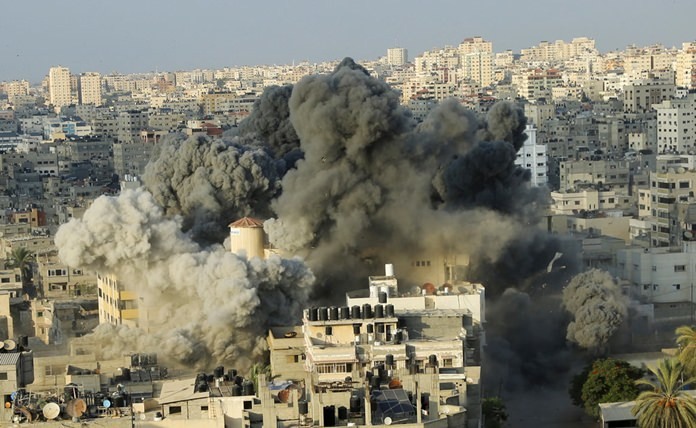 The Israeli air force, meanwhile, pounded targets across Gaza. Tension along the Israel-Gaza border has escalated since late March, when Hamas launched what have become regular mass protests along Israel’s perimeter fence with Gaza. The protests have been aimed in part at trying to break the blockade.